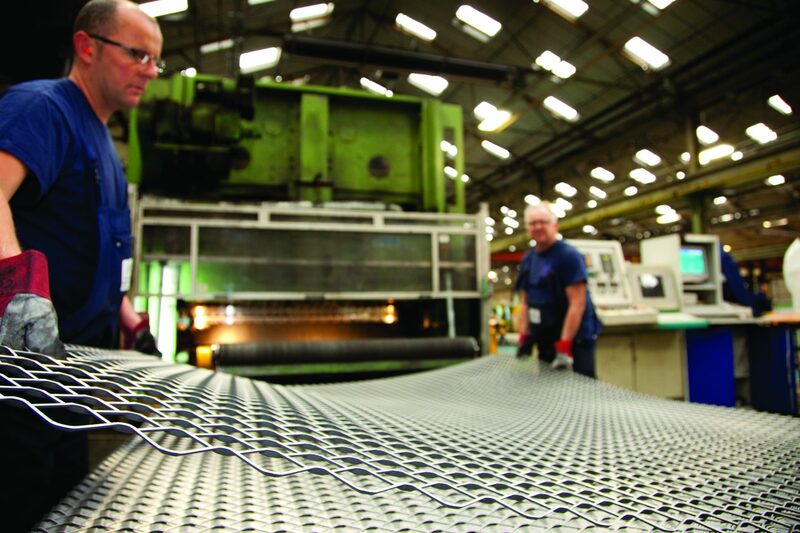 With innovative manufacturing facilities, techniques and capabilities, The Expanded Metal Company manufactures a wide range of expanded metal mesh products suitable for a variety of applications. Expanded metal mesh has a diverse range of properties, which makes it a versatile material that can be used throughout a variety of industries. From our aluminium foils measuring just 50 microns thick, through to our heavy duty 6mm thick metal walkway range, we offer a class leading range of choice. Expanded metal mesh is formed from one piece of material, meaning there is nothing to work loose, no fretting strands or strained joins or welds. 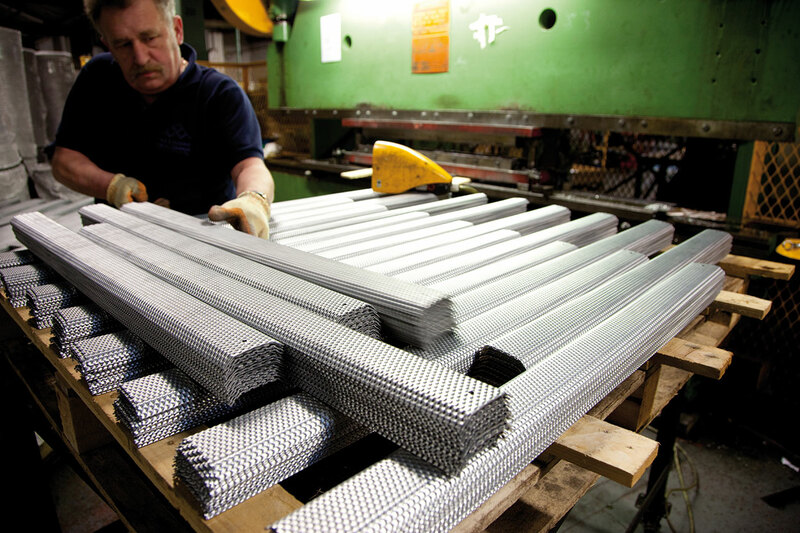 The homogenous design of expanded metal results in an inherently strong material that can be used in a range of components. In addition, because it is manufactured from one piece of material, expanded metal mesh is ideal for forming and can easily undergo further processing, such as pressing and shearing. Our process involves slitting and stretching material to create holes rather than punching it out. This provides immediate cost savings, especially when compared to other metal processing methods, such as perforation, which results in wasted raw material. By expanding metal from a solid sheet form, a strong yet lightweight material is created. The uncut ‘knuckles’ of expanded metal mesh withstand pressure better than welds or joints. Our product is available in a wide array of colours, materials and designs, and can be used to stunning effect. Contact us for a sample and you can get a closer look at its aesthetic properties. It is often used as decorative metal mesh or for architectural fabrications. The knuckles formed by expanding mesh give sound grip underfoot, particularly beneficial when used in stair treads, ramps and walkways. We have also developed a range of specific anti-slip walkway meshes. Our bespoke design can now be found in many homes throughout the UK and Europe. Appointed to deliver a Dormouse mitigation strategy covered by a European Protected Species licence at a recent housing development. Haworth Tompkins’ refurbishment of the Young Vic theatre in London, was a landmark project. The outer skin of this superb 7 storey building is entirely clad in expanded metal. JD Sports, a leading trainer and sports fashion retailer in the UK, commissioned Entec Design Services Ltd., a specialist building subcontractor that designs, supplies and installs roofing, cladding and curtain wall systems. We support our clients in delivering a premium disposable barbecue products to their major supermarket clients.